A firm is launching a new Home Owner’s Passport this weekend in a bid to speed up conveyancing. With characteristics reminiscent of the much-derided Home Information Packs - scrapped in 2010 - the HOPs aim to “provide guaranteed completion timescales” according to the firm introducing them, Teal Legal. The passport, which will exist online, has been devised by the firm in a year-long collaboration with Keele University. It works by interrogating conveyancing due diligence data and applying algorithms to work out how complex the conveyancing transaction is likely to be. Based on this information, a predicted conveyancing timescale is generated. The firm says that for the first time, this allows properties to be marketed with clarity on how long it’s going to take to get the legal work sorted post-offer. “With conveyancing taking an average of four months and on third of sales falling through post-offer, the Home Owner’s Passport provides a tool to make a significant difference to the current status quo” the company claims. So long as it’s registered with the Land Registry any home can be searched, free of charge via the website to generate a free timescale assessment. A full HOP Report is then available for agents and sellers which includes a bespoke checklist for sellers to get them ‘move ready’: this report costs £29.50p. Teal claims that by completing the steps advised in the report whilst the property is being marketed, sellers can then achieve an even earlier ‘potential move date’. The HOP goes a lot further than some property experts’ suggested Log Book idea, the firm insists. Poll: Is it time to give a HIPs-style product another chance? "It works by interrogating conveyancing due diligence data and applying algorithms to work out how complex the conveyancing transaction is likely to be. 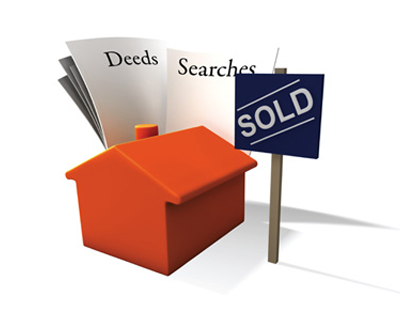 Based on this information, a predicted conveyancing timescale is generated." Why not just instruct your conveyancer, at the point of marketing to prepare a sellers pack (a bit like an auction pack). Most would do that for a very modest fee which is then deducted from the overall conveying fee. The only reason that agents liked the HIP’s was that they could make money out of them. Other than that they were pretty useless. It’ll be interesting to see what reviews this new system gets but agents will still be reliant on solicitors picking the phone up and that’s where it generally breaks down! A conveyancing transaction so frequently takes the excess of weeks that it does because of the poor quality of the conveyancers involved, and the lack of proactivity of the mortgage advisers involved. Plain and simple. If I could pick the conveyancers in any chain - Rob Hailstone being one of them - they would fly. Instead who is on the memo of sale is inevitably a groan fest - when it shouldn't be. Law firms should instead invest in the best calibre of conveyancer they can. The public deserve it! Solutions not enquiries, reality of enforcement not daft indemnity policies, email not letters, no 'supervisor sign-off' conveyancers. But "interrogating conveyancing due diligence data" - come on guys! ?